Do you want to transfer your Kotak Bank account to another branch online? If yes, then let me tell you now Kotak Bank customers can change Kotak home branch online without visiting Branch. Kotak Bank Account transfer to another branch online facility available through mobile banking and net banking or through Kotak online services portal. Here we will tell you 3 online methods to change Kotak branch online. You can follow below three online methods and transfer your Kotak account to another branch instantly. Kotak Mobile Banking enables you to transfer your Bank account to another branch online from your phone. Login to Kotak Mobile Banking. Now tap on Service Request and tap on Account Service Requests. Next screen tap on Change of Home Branch. After entering the Pin code, you can see new branch address, if correct then submit your request. 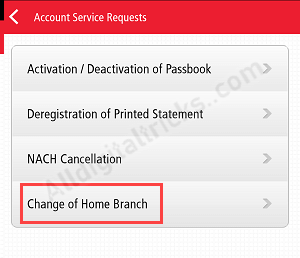 In new service request, you can see Change of Home Branch in Savings and Current Account section. Click on it. 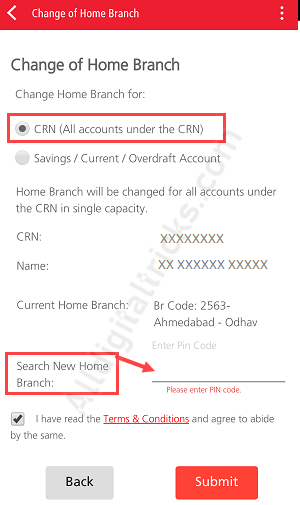 Now select CRN (All accounts under the CRN), enter new branch pin code or your home address pin code. 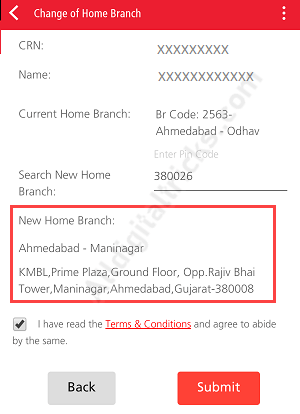 You can see your new home branch address after entering pin code, if branch address is correct then submit your request. If you don’t have Kotak net banking or mobile banking, you can still change your Kotak home branch online through Kotak Service Request portal. 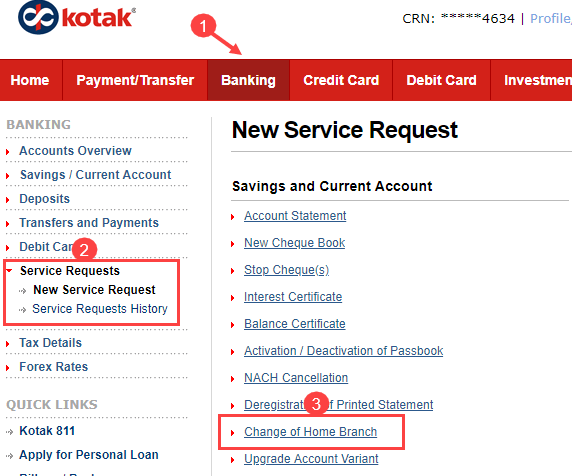 Visit Kotak Service Request page and click on Change of Home Branch. Now enter your registered mobile number and Date of Birth OR CRN Number. Now click on Send OTP. Next screen, enter received OTP and authenticate yourself. Now select CRN option and enter your new branch pin code or your area pin code to find nearest Kotak branch. You can see the new branch address. Now submit your request. After submitting the account transfer request for your Kotak Bank account, your account will be transferred to new branch within 7 working days. 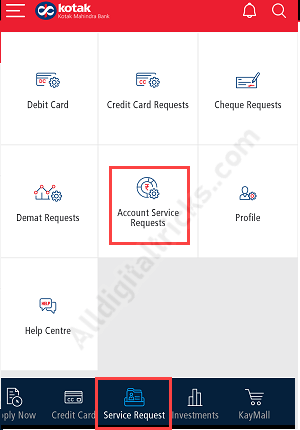 So this is how Kotak Mahindra Bank customers can transfer Kotak Bank account to another branch online and change kotak branch online without visiting branch.